Win 2000/NT/XP/2003/Vista/7 Creating editable copies of PDF files is always a task that requires additional software and time. The most time and money saving approach is using server application that can convert PDF files to DOC or TXT for many users at a time. If you need to provide this feature to a few users, there is no better solution than Total PDF Converter X. Convert every page to separate DOC file if needed or use file-by-file conversion. When dealing with lots of files or even file folders, you can convert all their PDF content saving the initial folder structure. This option is specified as –kfs in convert PDF to DOC command line parameters. Total PDF Converter X can significantly save your time taking all conversion job on itself. You don’t need do anything like enabling it each time you need to convert every single file. Just write the proper command and that’s all. Also you can collect all PDF sources during a day in specific folder and then convert all them in one command. This is up to you. Using convert PDF to DOC command line command line mode is the fastest way to manage with conversions. 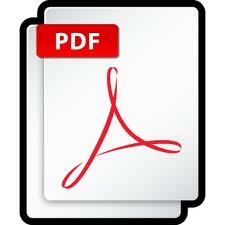 Get sure in this buying your own copy of Total PDF Converter X here.